Heartwood can range from a lighter pale brown to a dark chocolate brown with darker brown streaks. Color can sometimes have a grey, purple, or reddish cast. 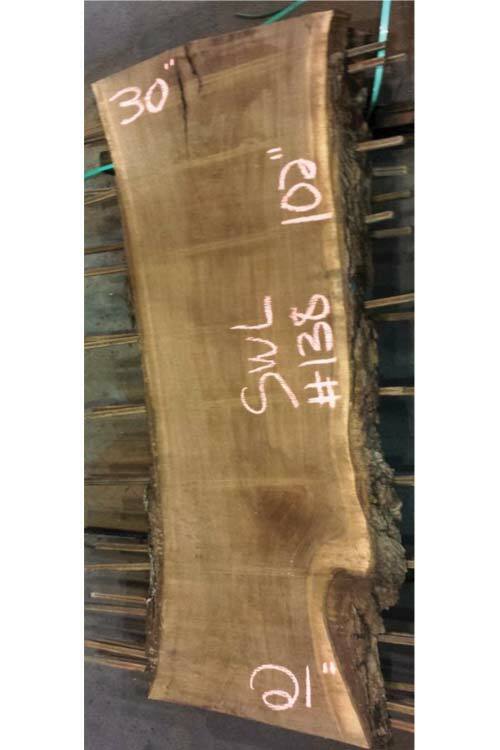 Sapwood is pale yellow-gray to nearly white. Figured grain patterns such as curl, crotch, and burl are also seen. Grain is usually straight, but can be irregular. Has a medium texture and moderate natural luster. Easy to work provided the grain is straight and regular. Planer tearout can sometimes be a problem when surfacing pieces with irregular or figured grain. Glues, stains, and finishes well, (though walnut is rarely stained). Responds well to steam bending. Black Walnut is rated as very durable in terms of decay resistance, though it is susceptible to insect attack.